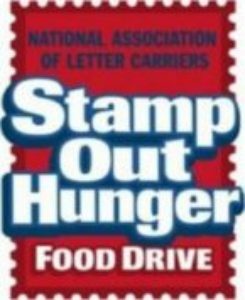 Thanks to all of you who donated to the National Association of Letter Carriers’ “Stamp Out Hunger” Campaing, more than six tons of food was collected by the Postal workers in Florham Park, Chatham, Madison, Cedar Knolls, Lake Hiawatha, Morris Plains (includes sections of Parsippany, and Morris Township), Morristown, Mendham, Mountain Lakes, Rockaway, and Dover (includes Wharton and sections of Randolph). Despite the gloomy weather, the letter carriers went the extra mile to help us stock the shelves befor the upcoming summer months when donations tend to drop. Kudos to them and thanks to all of you for helping our neighbors in need!